Even though most Americans speak English, it’s a core subject taught in schools because many people have trouble with reading, writing and comprehension. You will need these skills in order to succeed in college and beyond. If you’re looking to teach English to junior high and high school students, you’ll need to meet some strict standards, especially if you live in Michigan. The state of Michigan has high standards for academics and therefore requires that aspiring educators become certified by taking the MTTC English Exam. 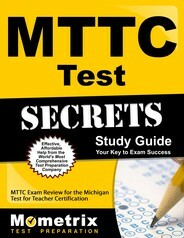 The MTTC English Test has 100 multiple-choice questions. You are given either two hours and 30 minutes or four hours and 30 minutes to complete the test, depending on which format you use (computer vs. pencil and paper). A minimum score of 220 is required to pass. You will be tested on the ever-changing nature of the English language, language arts skills, acquisition and use of language, the effects of language on culture, how listening and speaking complement each other, listening and speaking strategies, features of various genres, purposes for studying literature, social and cultural aspects of literature, North American and world literature, and children’s literature. The test also includes questions about textual analysis, structure of language, interpretation of literary devices, writing techniques, elements of persuasive writing, aesthetics of language, the writing process, revision and editing processes, visual language, reading strategies, critical analysis, connection between writing and learning, and critical evaluation of media and technology. Need help studying? Don’t do it on your own. Instead, check out the MTTC English Practice Test. 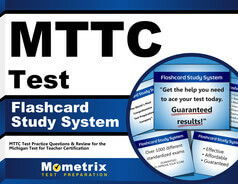 This study aid from the Mometrix Test Prep Team is designed to mimic the real test, so on test day, it will all be second nature. Best of all, it’s free! If tests are difficult for you and you don’t feel confident in your knowledge, the MTTC English Test can help. This helpful tool will show you what you need to study so you can make efficient use of your limited time. You’ll improve your score and pass the first time.